No thing exists alone in nature. Every thing is part of a complex. Sodium chloride without minerals is not food, it is akin to a drug. Salt is good — that is, an unprocessed salt is good. An unprocessed salt has all the minerals intact, nothing has been removed. 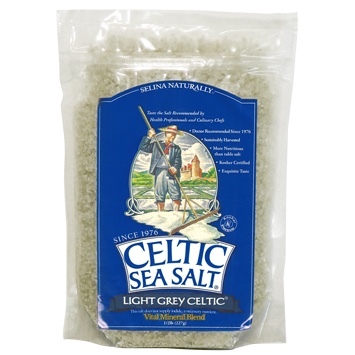 Unprocessed sea salt is grey and moist. Most commercial salt, including so-called ‘sea salt’, is white and dry; all minerals have been removed, replaced by chemical contaminants used in processing.